The giveaway is now closed. Thank you all for participating! 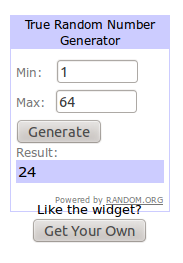 The winner is announced at the end of this post. Poetry is one of my driving forces. I must admit that I find it everywhere, not only in words. When I "met" Elaine from Red or Gray Art I felt excited and uplifted by the air around her and couldn't wait to present her poetic soul to you! 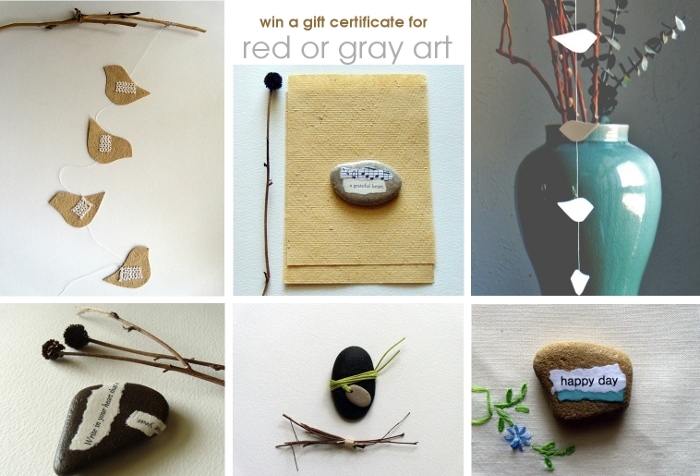 Today I am so honored to involve you in a lovely giveaway sponsored by Red or Gray Art! Elaine is generously offering a gift certificate for her etsy store worth $20! Once you win, you will be able to choose between any of the many intricate and truly amazing items. I promise you, you will love every single thing Elaine has created! 6. Traditionally, all of you, who commented under Elaine's interview (before the beginning of the giveaway) will get one more entry (just add a comment saying that you have commented on the interview)! It is possible to have up to 5 entries (6 for the readers who have already commented on Elaine's interview). You must leave a way for me to contact you if you win (have your email address listed in your profile, post your email address with your comment, email me or convo me in etsy). The deadline to enter is Friday, July 8, 2011 at 23:00 CET. Comment date stamps must be recorded by 23:00 CET on Friday, July 8, 2011 to be eligible. The winner's name will be drawn via random.org and will be announced shortly after in this post, so make sure you check back to see if you won! Easy, as you 2 are already in my favorites ! I have always loved Red or Gray and have just hearted it!!! Yay! Never kissed me, but always shook my hand. Brisk melodies, symmetry, civility, and passion. Risen to dance if he had known how. My father, who'd never heard a Brandenburg. Just in time he said, "That's beautiful." And I happily commented on Elaine's lovely interview! Yay!!! I've been a fan for a long time! She's in my favorites. Great terms I must say! the poem optional requirement is a lovely idea! Stop by my blog, I also have a giveaway with 18prizes of 300$! Red & Gray is already a fave and now you are too ... follow in Facebook as well. I have hearted Red & Gray's etsy site. I liked her on FB, too. I follow Kanelstrand Organic Living. I only found Elaine's wonderful blog today and it led me to this give-away! Of course I hearted her beautiful shop gladly. hearted red or gray art, love the birdies! I "hearted" Red or Gray Art on Etsy! I "liked" Red or Gray Art on Facebook as Alyssa J Dannettel! I like Red or Gray Art on Facebook! I hearted Red or Gray Art on etsy, my etsy username is: daer0n. I like Red Gray Art on fb: Daeron Mel. I "hearted" Red or Grey art on Etsy! Lacey414 is my username there. Thanks! CNJCeramics hearted Red or Gray Art on Etsy. Clay Space liked Red or Gray on FB. Hello and TY for this possibility! I hearted Red or Gray Art on Etsy, I am Tirabaralla on Etsy. I liked Red or Gray Art on Facebook, I am Giovanna V. on FB. I Hearted Red or Gray Art on Etsy! I hearted her shop...it's lovely!